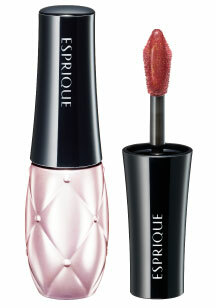 A new liquid rouge that gives lasting color/shine/hydration for plump lips, in one stroke. 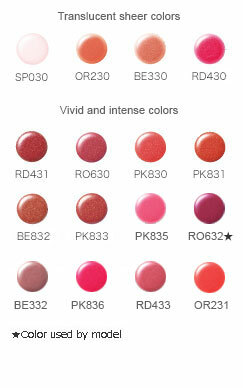 The vivid color gel coat ingredient gives lasting shine to the lips, concealing the fine lines on the lips. 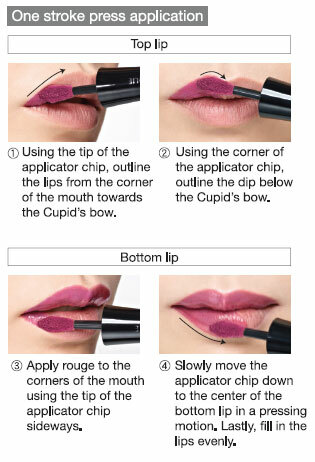 It also wraps the surface of the lips, locking in the moisture and preventing dryness and chapping.